With the recent Brexit developments it looks likely that British skiers are going to have to put value for money higher up on their ski holiday wish-lists. One destination to consider is Valmorel, the first resort you get to in the Tarentaise valley after leaving Albertville. Even though it has many of the facilities of it's bigger, brasher neighbours, lift passes are cheaper and eating, drinking and sleeping on the mountain are considerably less expensive. 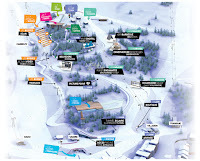 Valmorel has 135km of pistes and 33 lifts, similar to La Rosière, and with a similar altitude spread of 1200m - 2600m. Valmorel is best of France's '4th Generation' purpose-built ski resorts, reflecting local Savoyard architecture with more intimacy than the massive constructions of the 1960s found elsewhere. The central village is laid out along a car-free 'Grande Rue', with a surprisingly eclectic mix of bar, restaurants and shops. None of the adjacent buildings are more than three or four stories high, and local stone, wood and lauze (slate) being the materials of choice. Like many of the Tarentaise ski resorts, Valmorel was home-grown response to the decline of traditional local economies in the middle of the 20th century: agriculture of course, but also the local mineral industries. Despite the decline of these in the 1960s. caused by cheaper imports and changing tax rules, two are still very much active at the foot of the valley of the Morel. You can't miss FerroPEM as you drive by La Lechère, its vast satanic furnaces turning rocks into rare silicium alloys, and Carbone de Savoie at Aigueblanche, coated in black dust from processing wood into the base material for everything from aeroplane wings and mobile phone components. 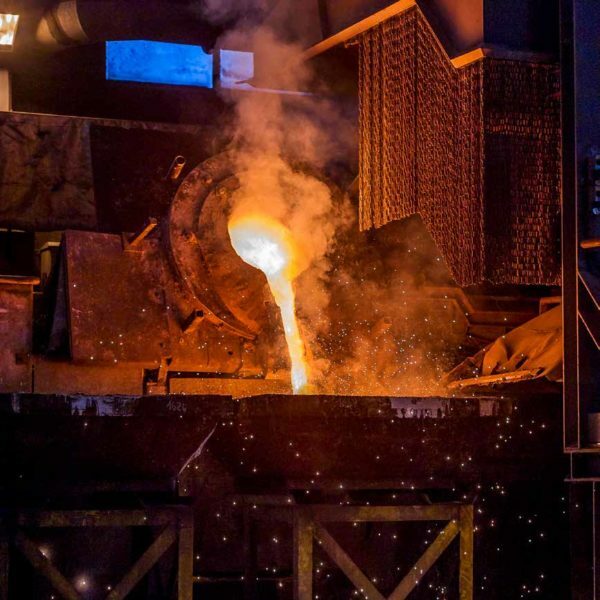 These industries were originally attracted to Savoie by the availability of cheap electricity from hydro-electric power. Both these factories have their own generating systems; you can see their pipes snaking up to hidden reservoirs high in the mountains. They are so efficient they also make a sizeable contribution to France's national grid - the original green energy. So, disturbed by the exile of young people from the valley, the two towns got together to exploit the superb natural bowl below Le Cheval Noir (2832m) , and employed the architect Michel Besançon to develop plans for the new resort. Besançon had been involved with the inception of La Plagne, where he had learnt a lot about the pros and cons of tourist 'urbanisation' in virgin mountain pastures, and the look and feel of Valmorel is very different to that of say Plagne 1800. 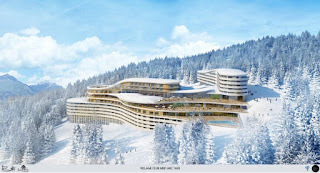 But the integration of living facilities with the ski area and a logical layout of pistes and lifts bear witness to his expertise. Valmorel opened in 1976 with just 8500 beds, tiny by comparison the the Paradiski or Trois Vallées resorts just down the road. It has grown steadily, but not uncontrollably, and link across the Col de la Madeleine to the Maurienne resort of St François-Longchamp which opened in 1983 doubled the size of the original ski area. In 2011 ClubMed chose Valmorel for its first 4 trident holiday centre in the Alps, putting Valmorel and La Grande Domaine firmly on the map for their predominantly French clientèle. Although primarily a 'family-friendly' ski resort, with lots of easy and intermediate slopes at all levels, there are some notable off-piste adventures to be had: the all-day itinerary off the back of the Col de Mottet down to St Martin in the Belleville valley is stupendous, and the big steep-sided bowl below La Lauzière is often untracked for days. It's is certainly not Argentiere or Val d'Isère (although a major investor in Valmorel) but there's enough varied terrain to keep 90% of skiers happy for a week. 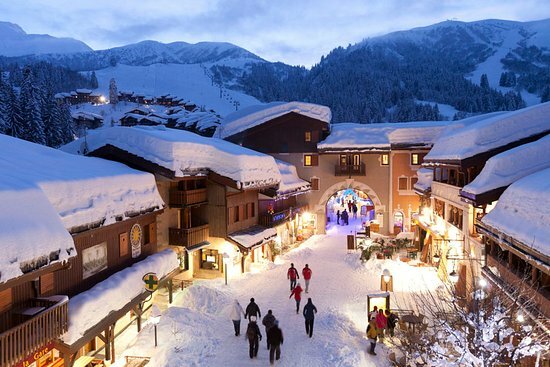 Half-term is upon us once again, with bookings throughout the French ski resorts reaching record levels thanks to the extraordinary amount of snow that's fallen from the beginning of the season - and it's still snowing now! No real worries at Les Arcs about overcrowded pistes and lift queues: a new lift every season for the last 15 years means we now have one of the fastest and most modern lifts systems in the world. No doubt the greatest lift achievement of this period was the Vanoise Express, the link between Les Arcs and La Plagne which in 2003 was the largest and fastest cable-car system in the world (the capacity was reduced slightly a few years ago with the installation of the spectacular glass floor in the lower of the double-deck cabins). 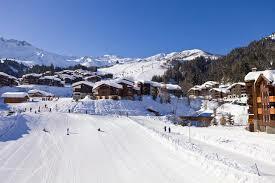 From this was born Paradiski, now world famous as the 2nd largest ski area in France. 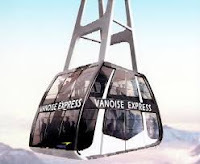 The Vanoise Express was one of only a few projects that actually got built at a time when there were dozens of schemes, plans and proposals for connecting ski areas. 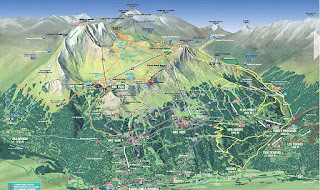 Planning and environmental restrictions imposed in the 1980s and 1990s made it impossible to build (or substantially enlarge) new ski resorts in the Alps, so links and connections were seen as the only way to enhance and expand capacity, and to provide dramatic new marketing concepts in an increasingly competitive industry. The marketing effect of 'Paradiski' has been far greater than the actual usefulness of the Vanoise express link (which is generally under-used). Bourg St Maurice to Les Arcs, initially a cable car opened in 1974 and replaced by the Funiculaire in 1984. 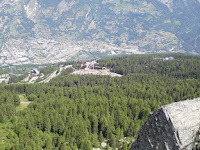 I was inspired to write all this after reading about a new link controversy between La Grave and Les Deux Alpes, in the Hautes-Alpes region south of here. 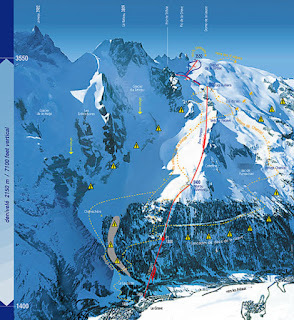 The extreme, all off-piste ski area of La Grave, at the foot of the Meije Glacier, is one of the most distinctive ski areas in the world, a mecca for experienced off-piste skiers prepared to take risks in an hostile environment served by only a 40 year old cable-car. 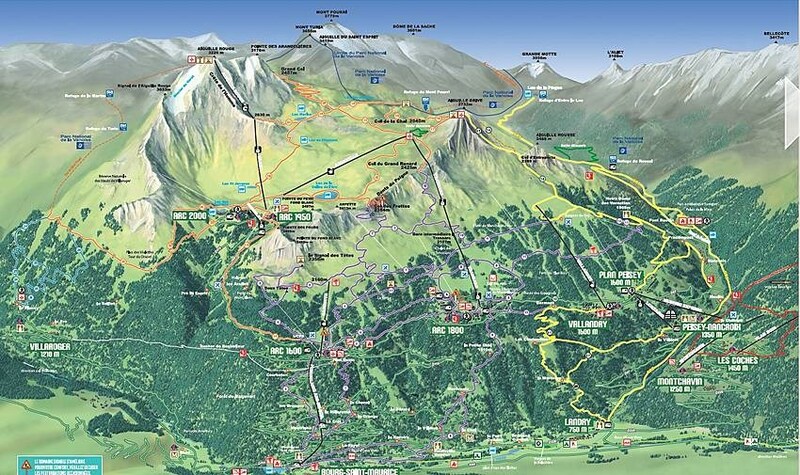 Les Deux Alpes, on the other hand is sprawling, popular ski resort focussed on the intermediate and family skier market. 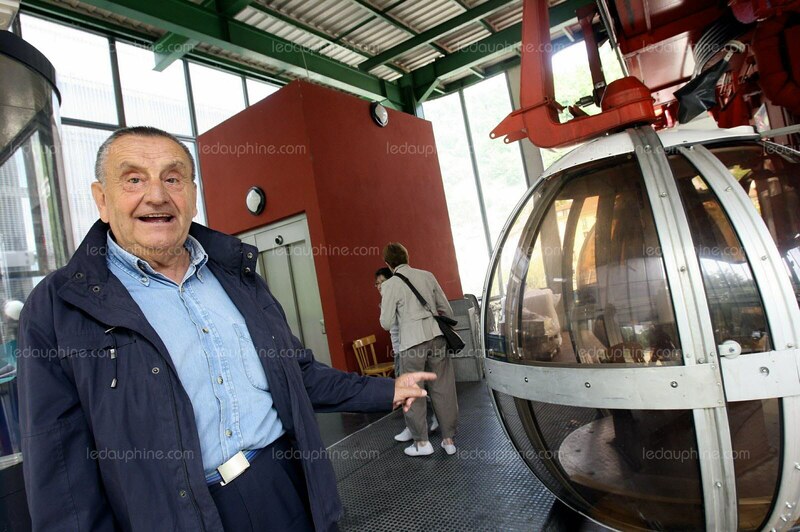 La Grave has effectively been under the control of one man since the 1970s, Denis Creissels, who built the original cable-car virtually with his own hands! Evidently a strong character he has successfully resisted pressure from the local commune to enlarge or change La Grave into ski area with wider appeal. However in 1976 he did agree to build a drag lift to enable skiers from Les Deux Alpes to access the unforgiving terrain of La Grave. This link, which probably benefited Les Deux Alpes for marketing purposes above all, has always been problematic - at 3600m, the highest surface lift in France, it's prone to snow and wind conditions, and is often closed for long periods and access to the lift involves a snowcat ride or a 20 minute walk. However the biggest headache for La Grave has been inexperienced 'leisure skiers' finding themselves deposited on the 'Mountain of Death' with no guides or means of navigation (there are no pistes and few markers and the upper slopes are notorious for their hidden crevasses). Denis Creissels, who is now 84, always said he would go on until he was 100 to 'save' La Grave from development, but in the end various pressures led him to retire. 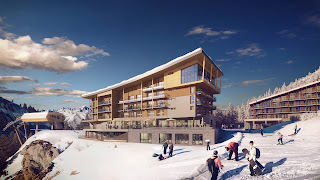 Over the last few years various controversies have raged about the future of La Grave, ranging from its complete abandonment to a take-over by the theme-park orientated Compagnie des Alpes who control Les Deux Alpes. 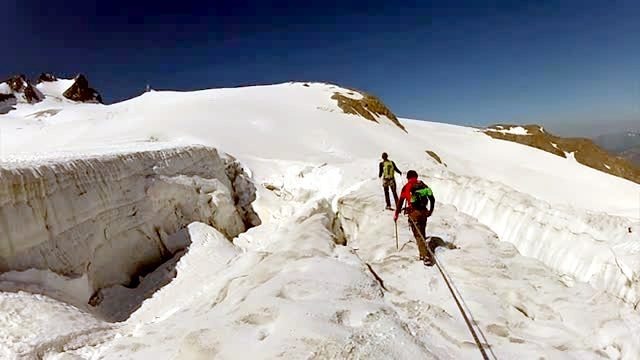 Finally a new 30 franchise has been granted by the commune to a start-up company SATA, who plan to invest €17 million to modernise and extend the cable-car to the top of the Dome de la Lauze (3560m), creating the 'Aiguille de Midi' of the southern alps.. But they are keen to point out that they will not be installing snowmaking or creating 'easy' pistes - La Grave will retain is unusual and distinctive character. So much so that the ancient drag lift link to Les Deux Alpes will be dismantled and there will no longer be access to La Grave 'over the top'. Heroic summer in Les Arcs! I have just returned from a week staying our chalet L'Aiguille Grive at Courbaton (Arc 1600) with my wife and children and another family. It's about ten years since I was last there in August, and I was really surprised to see how the summer offering has grown in that time.We had with us 7 children, aged from 6 to 14, so finding a range of interesting things to do was essential! Les Arcs' summer activities now form part of an integrated programme, called 'Hero Les Arcs', which also includes the impressive range of mountain biking facilities on offer. The Hero programme covers all the Arcs' resorts and Bourg St Maurice, but the bulk of the activities are based around Arc 1800. This is logical, as the Mille 8 swimming pool and 'wellness suite' are key features, with the impressive open-air pool and water slide in full swing. At the foot of Mille 8 there bungee-trampoline, mini-golf, pony-riding, a circus show and a bouncy castle, aimed mainly at the younger-end of the age range. The large climbing wall is popular with older children, but there's a 48 hour waiting list for the 1 1/2 hour supervised sessions. 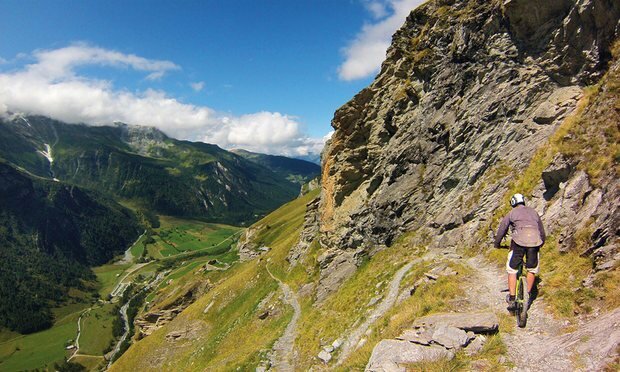 With several lifts open to pedestrians and bikers, access to the Col de La Chal and the Aiguille Rouge is straightforward, with the possibility to walk down on marked trails separate from the vast web of mountain bike trails that now cover the mountains of Les Arcs. 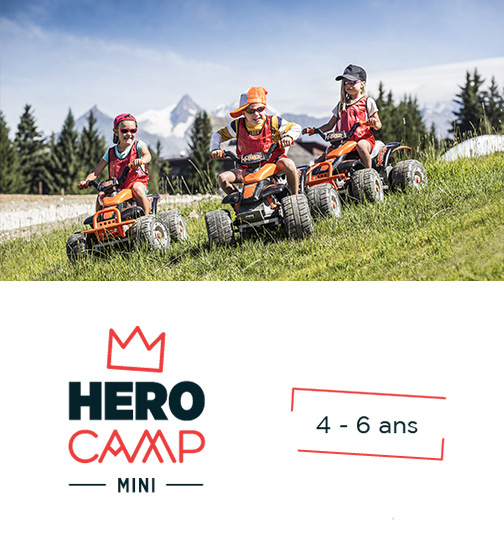 The Hero progamme also offer fully-supervised and coached activities for children, from half a day to a full week, covering pursuits including kayaking, mountain-biking, rock climibing, archery, tennis and hiking. Its possible to pay a bit extra to sleep out in bivouac on the mountainside! Golf seems to have taken on a new élan with the construction (as part of the Mille 8 project) of Le Lodge, at the centre of the golf course. This acts as a club-house, with a lounge, bar, restaurant, shop and the impressive life-size golf simulator which enables you to play on many of the worlds top greens in virtual reality. Several independent golf schools occupy the old stone huts and chalets which pre-date Les Arcs, but give it all an authentic Savoyard feel. Les Arcs and Bourg St Maurice seem busier and much more active than I remember 10 years ago. The streets, shops and restaurants everywhere were bustling, the holiday atmosphere all pervasive. However, the natural splendour of the mountains and quiet verdure of the forest is never far away: Our group enjoyed trekking through the Malgovert Forest, around the vertiginous Rochefleur outcrop as well as simply admiring the summer scenery of the masif de Beaufortain from the balcony of L'Aiguille Grive - just as in winter Les Arcs in summer really does have something for everybody. The Hero Pass, which gives access to these activities is available from €36 a week. As ever with Les Arcs there are a complicated range of options and prices, but it's well worth going for the Hero Premium pass (€89) which gives unlimited access to everything. Accommodation on the mountain is much cheaper than in winter, so start planning now for your 2018 summer holiday! It might be the middle of summer, but preparations for the next winter season are well under way in Les Arcs. The new 6 person Pré St Espirit chairlift is being built in the Arc valley, bringing to end those freezing 15 minute journeys on Les Arcs longest (nearly 2km) and probably slowest lift. Originally constructed in 1980, its aim was to improve the link between the then brand new Arc 2000 and the resorts on the other side of the Arpette ridge, Arc 1600 and 1800. The Comborcière lift (about which I have written previously) had been the first attempt to provide a quick route back to Arc 1600 and to avoid the long, flat and avalanche-prone return walk running parallel to the main road. It really was as cold and slow as it looks! The new lift, which will be in service the start of the 2017/18 season, has six places, heated seats and perspex bulles to keep the wind and snow out of our faces. It's 3 times faster, and the upper station will be located higher than at present, just above the Plagnettes lift. All this should help decrease the tiresome queues that have become a regular feature of the Arcabulle lift, however essential for access to the upper part of the valley clearly the ski schools' favourite. The lower station is a bit closer the restaurants and carpark, so the tartiflette-heavy trudge across the piste to start the afternoons skiing will be a thing of the past. A second phase of the Pré St Espirit redevelopment is planned for next year (2018/19), with the replacement of the (also very slow) Comborcière lift and a new blue piste (Le Loup) beside the eponymous long bump run. The end result of all this will be much more fluid connections between Arc 1600/1800 and Arc 2000 and new lifts, while being expensive to construct (€6 million for the new Pré St Espirit lift), employ fewer people and require less maintenance, which can only be good for the ADS' balance sheet in the future. However, perhaps there's a hidden agenda operating behind these major infrastucture developments. No one who comes to Les Arcs can fail to be impressed by the number of accommodation developments such as the massive Eden Arcs at Arc 1800 (increasing the bed capacity there by 30%), and the 5-star Tah-i-Maj hotel and several new 'Chalet des Neiges' buildings that crowd over the front de neige at Arc 2000. 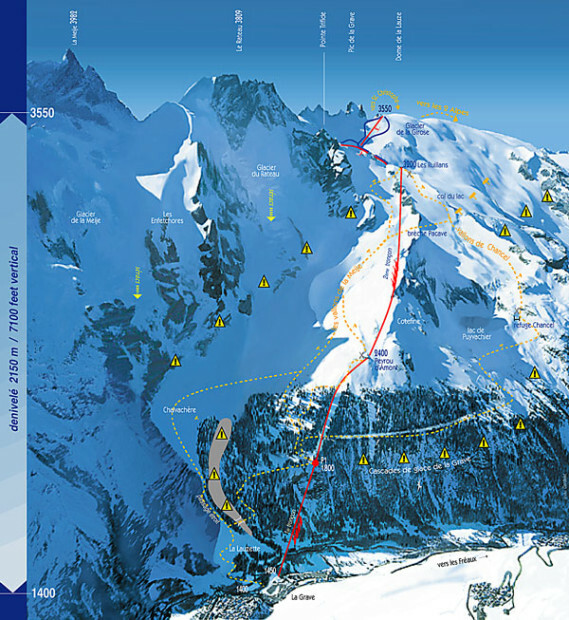 The owners of most the ski area, Bourg St Maurice commune, and the ADS company which has the franchise to exploit the ski area seem to have concurred in recent years on the need to maximise revenue from the their 'asset', by offering more and higher quality facilities, building 'brand loyalty' and providing for a less snow-sure future. The MilleHuit fun park at Arc 1800 is a perfect embodiment of this objective. More beds may equal more lift passes sold, but it also equals more people on the piste and using the lifts. Crowds, queues and bottlenecks the enemy of this strategy, so new high speed lifts are essential if the ski area is to keep pace with the demands that are going to be made on it in the future, and shift people quickly to the resorts higher and more snow-reliable areas. Arc 1600 proudly announced a couple of years ago a new '4-trident' Club Med development at Arc 1600, with 900 beds and plenty of upscale facilties. It will open in December for the 2017/18 season. 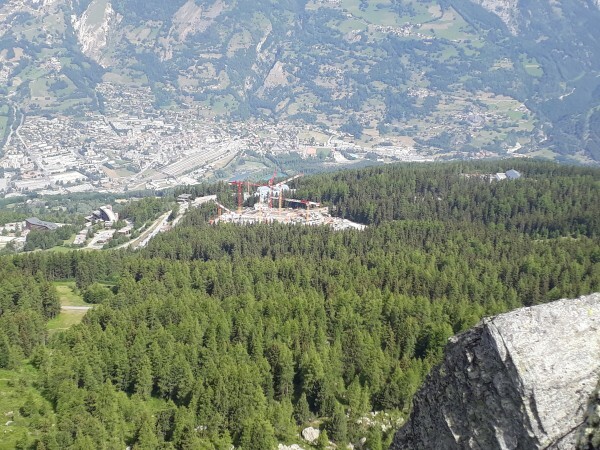 A large area of the ancient Malgovert forest has been cleared for the development, which is a bit higher than the main Arc 1600 village and will be mainly accessed using the Mont Blanc lift, which thanks to it's replacement a few years ago does seem to have some spare capacity. There's also a plan to build 50 new private chalets in this zone... more on that in the future. There's also talk of improving the ageing Cachette lift, but in the end there will be more people of all sorts of abilities on the already crowded and collision-prone pistes between the Arpette and Arc 1600. The new Pré St Espriit lift will play it's part in spreading the load, but it all makes me think it's time to get a helmet, even after skiing for 30 years without one! With the new ski season just around the corner it's time to think about booking up ski school or a private instructor while there's still plenty of availability. Here' some expert advice from Nick Robinson, who runs a brilliant new web service enabling you to find easily the best choices in your chosen resort. Different resorts are great for different levels of skier. Some resorts are built on less steep mountains, with lots of easy green and blue runs which gives beginners more terrain to explore and more of the mountain restaurants to try out!. They also have the chance to progress at a much more gradual rate. On the other hand, some resorts are geared more towards expert skiers, such as La Grave (France), with no pisted runs at all. But it's an off-piste wonderland for the backcountry lovers. 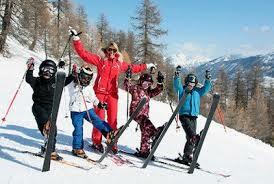 Les Arcs is an example of a large ski resort which genuinely caters for skiers of all abilities. 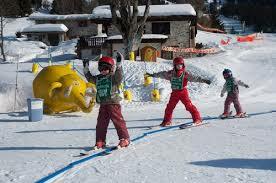 The choice of your holiday dates can be restricted by a school term dates, but if you don’t have children you can go skiing anytime during the season. The main advantage of this is price, and what a difference it can make! If you holiday during early season (Les Arcs for example opens on 10th December), Mid-January, early March or the end of the season you can almost halve the price of your holiday, and sometimes even more. Once you have chosen your resort and selected the dates the next step is to book your travel and accommodation . Skyscanner.com is great for checking the price of flights, Many ski resorts are easily accesible by train, including the direct Eurostar service from London to Bourg St Maurice. 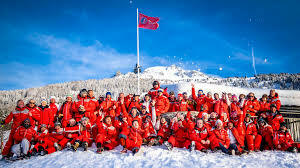 I would recommend going for an independent chalet company such as www.skiadventures.co.uk, as they take great pride in holidays they offer and always add a nice personal touch. Ask yourself what you want to achieve, what do you want out of your lesson? Adult beginners enjoy private lesson. Once you have booked your ski holiday and you decide you want to book lessons you should ask yourself what you want to get out of these lessons. You might be a complete beginner or you might be a nervous intermediate wanting to build confidence. It’s important you know what you want before you start looking for lessons, as this could have an impact on how many lessons an instructor suggests you have, as well as what time of day to have the lessons. When do you want lessons? Once you have decided on point number 4 you can then decide what days you would like lessons. For example, if you are a beginner you will probably want to get started on the first morning of your holiday. Sometimes leaving gaps between lessons can allow for more practice and to really help to consolidate what you have learnt. Ski lessons can be expensive and it's best to have a budget in mind. Group lessons are much cheaper and are therefore a tempting option. Inevitably with group lessons people progress at different speeds and you could find yourself in a group that is too advanced or too basic. Also you might find yourself in quite a large group not getting much individual attention. However some people really enjoy the 'social' aspect of group lessons and find it a great way to find friends and people to ski with. On the other hand private lessons are relatively expensive and more intensive, but you might prefer to be learning all day (or for a few hours each day) which could be beyond your budget with a private instructor. In the end it all comes back to what you want to achieve and when you want lessons. Private lessons can often be quite a bit cheaper during 'low' season weeks. Lots of instructors to choose from! Ski schools offer various types of lessons at a range of times and for different prices, which can be complicated if you are planning a holiday with people of different abilities, budgets and aspirations. A good option is to check out Maison Sport, a website giving direct access to hundreds of independent instructors in France. Booking through Maison Sport cuts out the ski school 'middleman' so the prices are generally lower and you can compare different options before you make your choice. Many ski schools don’t give you the option to choose your individual instructor, so it can be ‘luck of the draw’ as to who you get. The most important decisions to make are language and the instructor’s key attributes, information which you should be able to request from most ski schools. Alternatively, Maison Sport allows you to choose your instructor and communicate directly with them prior to booking to check they can fulfill your needs. You can also read previous customer’s reviews, which reduces the chance of any unpleasant surprises! 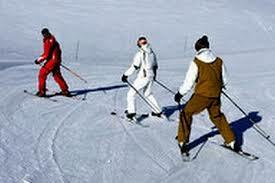 And finally: learning to ski is hard work but great fun. You can experience tremendous highs and devastating lows in a short space of time as a beginner. Even the most experienced skiers are still learning and improving, and there's never a time in ones skiing career when one couldn't benefit from being with an expert instructor. So don't overlook this important aspect of your holiday when budgeting, booking and planning - you'll get more out your time on the mountain and go further than you could ever hope to on your own! 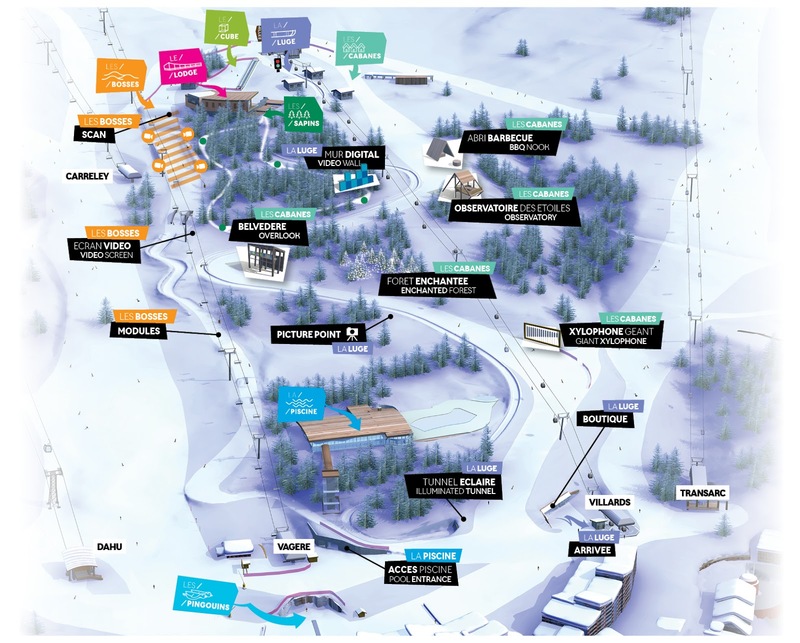 There are only 22 days to go before the opening of the winter season at Les Arcs. Already there is a good metre of snow on the mountain, with more predicted to fall this weekend. The snow has fallen at just the right time - it's unlikely to melt before December as the air and ground are cold, and the magnificent Les Arcs snow-making infrastructure can run full-on to build up that all-important base layer on the pistes. 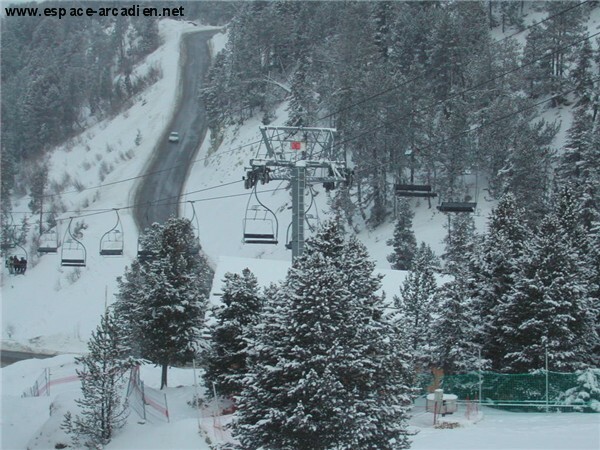 Here's hoping we have a really good snowy start to the season to make up for the last few years! 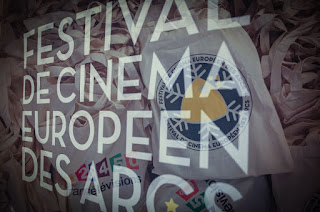 Les Arcs 8th European Film Festival opens at the same time as the skiing this year, on the 10th December. 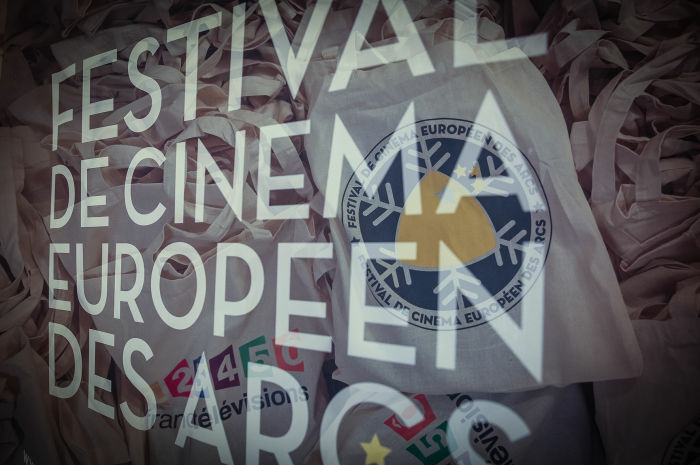 With the theme of 'Women in Film' there will be 120 showing of movies from a dozen or more countries. The LA film festival is getting an international reputation for new and innovative work, in an unusual environment (quite the opposite of Cannes!). It's been an interesting time for chalet bookings - the Brexit result seemed to have a bad effect on british skiers, mainly because of the big fall in the value of the pound. But every cloud has a silver lining and the extraordinary election of Mr. Trump in the USA has seen the value of sterling climb sharply and bookings are now back to their normal levels. Possibly the Brexit process may turn out to be yet another nail in the coffin for british skiing (the numbers of regular UK skiers has virtually halved in the last 10 years) and this is putting some resorts under further economic pressure. Les Arcs has had a good look at it's lift pass pricing policy for this season and although it's more complicated with new options for 'Duo' and 'Tribu' (group) packs joining the existing 'Family' pack, everyone can expect to pay a bit less than last year. Also Les Arcs area passes now include a day in La Plagne, and Paradiski passes allow you to ski on the afternoon of arrival day for no extra charge. With Christmas Day and New Year falling on Sundays this year the New Year week hasn't been as much in demand as usual (a lot of people go back to work or school on 2nd January). We still have availability for this period and it should be a lot quiter than usual! I'm offering a special 'Brexit Beater' offer for early season (10th - 24th December) based on £100 per night for catered chalet accommodation, lift pass and transfer. See the website for details and conditions. Bonne Saison a tous, come and enjoy the snow here at Les Arcs as soon as you can! Over the years I have realised that a lot our our chalet guests are also passionate about other sports and activities, and mountain biking often crops up as one the most popular summer pursuits. In the last 10 years Les Arcs has been making serious efforts to make the resort a real Mecca for all kinds of MTB enthusiasts, echoing the 'something for everyone' ethos of the winter programme. Now we have over 200km of trails, including some epic forest runs (the Malgovert forest beside our chalets has turned out to be ideal terrain in an otherwise largely un-visited environment), a couple of parcs and trails for families to enjoy. Several of the main lifts are adapted for the uplift of riders and their bikes, including Cachette, Transarc and the Aguille Rouge cable car - fancy riding a bike on a glacier!? This year we decided to set-up a mountain biking holiday programme for the 8 weeks period when the lifts run, based at our chalet L'Aguille Grive at Courbaton (Arc1600). This chalet seems ideally placed, as it's virtually on the 'mythical' No.8 forest trail (8.2 km and 810m vertical), and only a few hundred metres from Cachette and the funicular, which is a vital cog in the MTB uplift network. The fabulous views across the massif de Beaufourtain, plenty of space for bikes and barbecues, the sunny hot-tub and comfortable en-suite rooms seem to be exactly what the biking fraternity need after a hard day in the saddle (or sometimes out of it!). And so Arcabike.com was born, and we are taking bookings for the 8 week period from Saturday 2nd July to Saturday 27th August 2016. 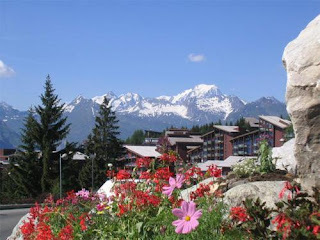 There are also plenty of other things to do in Les Arcs during the summer season, ranging from the chamber music festival to golf and archery. This was all part of the original thinking behind Les Arcs, but now as there seems to be increasing interest in activity-based alpine holidays the prescience of its founders is paying off. Les Arcs was recently features as one the top 10 best resorts for mountain biking in the Alps.